The French government has responded to American tire chief’s comments slamming the country’s labour system.In a letter to Titan CEO Maurice Taylor, Secretary for Industrial Productivity Reform Arnaud Montebourg blasts Taylor’s note as “extremist”, “ignorant” and insulting. “France is proud to welcome on its soil more than 20,000 foreign businesses representing more approximately 2 million employees,” he writes. Each year, we count more than 700 decisions by companies to create jobs and commerce in France. And this strong attractiveness is not weakening — quite the opposite: year after year, it is reinforced. Montebourg had been negotiating with Taylor’s Illinois-based Titan International to avoid having to close a factory in the town of Amiens over rising costs. Titan ended up refusing the terms of the local manufacturing union’s contract offer and shut down much of the plant. In the letter, Montebourg goes on to evoke Lafayette’s role in creating the U.S. and threatens Titan’s remaining businesses with aggressive regulations. Your note, as extremist as it is insulting, demonstrates a perfect ignorance of our country, France, its advantages, its recognised global attractiveness and its links with the United States of America. France is proud to welcome on its soil more than 20,000 foreign businesses representing nearly 2 million jobs, a third of its industrial exports, 20 per cent of private research and development and 25 per cent of industrial employment. Each year, we count 700 decisions by companies to invest and create jobs in France. And this strong attractiveness is not weakening — on the contrary, year after year it strengthens. Among all these foreign investors, the U.S. is first. 4,200 American business units employ nearly 500,000 people. The presence of these American businesses in France goes back many years: Haviland since 1842, IBM since 1914, Coca-Cola since 1933, GE since 1974. And how many more. These bonds are year after year renewed: in 2012, businesses like Massey-Freguson, Mars or 3M chose to grow their presence in France. What are the decisive factors that lead to such decisions? Foreign businesses come to France quality infrastructure, an enviable quality of life, an energy that’s among the most competitive in Europe, and an environment very favourable to research and innovation. But above all, far from your comments as ridiculous as they are disparaging, most of these businesses know and appreciate the quality and productivity of French workers — their engagement, their savoir-faire, their talent and competency. To grow this attractiveness, the French government just adopted 35 measures under a program of growth, competitively and jobs. Among them, a tax credit for competitiveness and jobs reduces salary costs to between by 6 per cent. And, social organisations just concluded an accord on job security, which illustrates the quality of social dialogue in France and the importance of the government that I represent. May I remind you that Titan, the business you lead, is 20 times smaller than Michelin, our globally known technological leader, et 35 per cent less profitable. Which is to say that Titan could have gained much from sticking with France. France is as proud as it is happy to welcome the American investment — our two countries are linked by an ancient and passionate friendship. 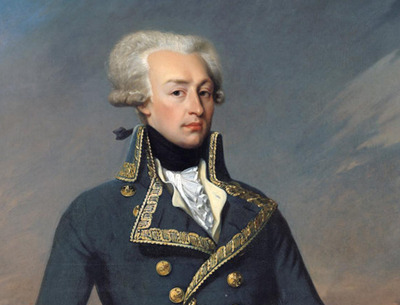 Did you know what Lafayette did for the United States of America? For our part, we French, we will never forget the sacrifices of young American soldiers on the beaches of Normandy to deliver us from Nazism in 1944. And because you make the choice to criticise your own country in your letter to me, I must say how much the French government admires the policies put in place by President Obama. As minister in charge of industry, I am particularly sensitive to actions in favour of outsourcing jobs and radical innovation. As it turns out, our policies have been inspired by those of your President. You evoke your intention to exploit manual labour in certain countries to inundate our markets. I must say that this condemnable calculation, and so short-sighted, will sooner or later provoke a justified response. That’s already the case in France, with its growing number of allies at the heart of the EU who plead for reciprocity of exchange and take action against dumping. In the meantime, rest assured you may count on me to oversee with a renewed zeal your remaining businesses. They will be particularly subject to the terms of our social, environmental and technical laws.